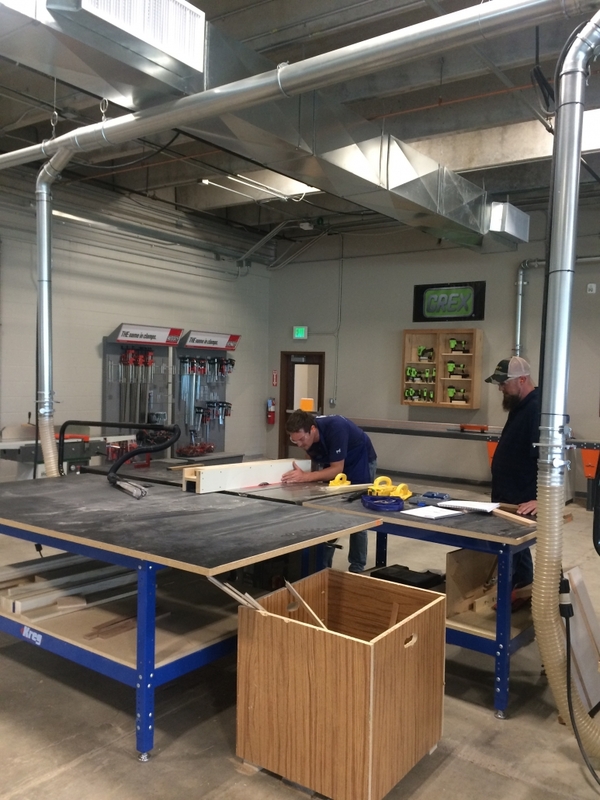 The Manufacturing Industry Learning Lab, aka the MiLL, opened with great fanfare last fall in Colorado Springs, CO. 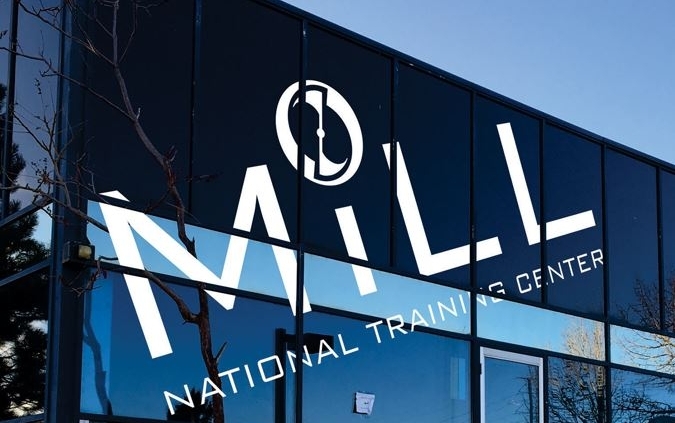 Billed as a national training center for the woodworking industry, the MiLL features more than $3 million worth of equipment operating under power in a 46,600-square-foot building. 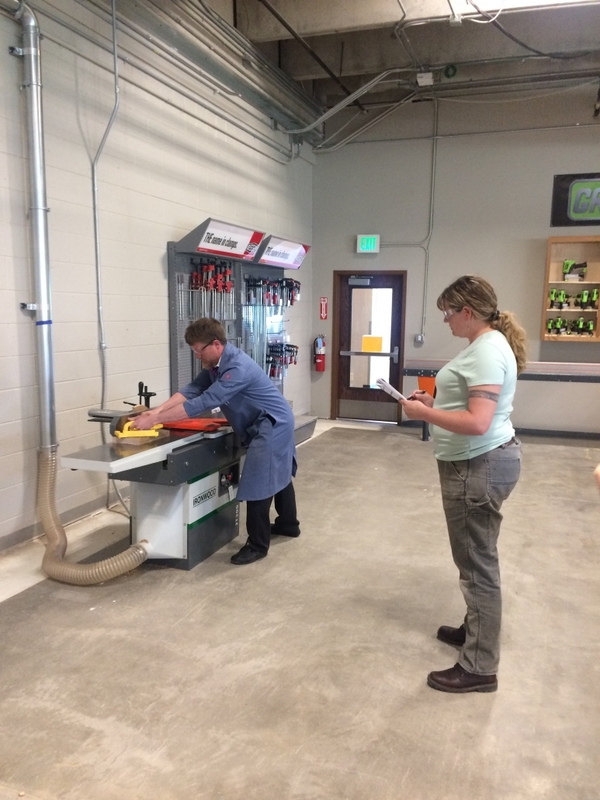 The facility offers woodworking instruction to students by day and adults at night. At the core of the MiLL’s diverse training courses are the Woodwork Career Alliance’s skill standards and credential Passport program. 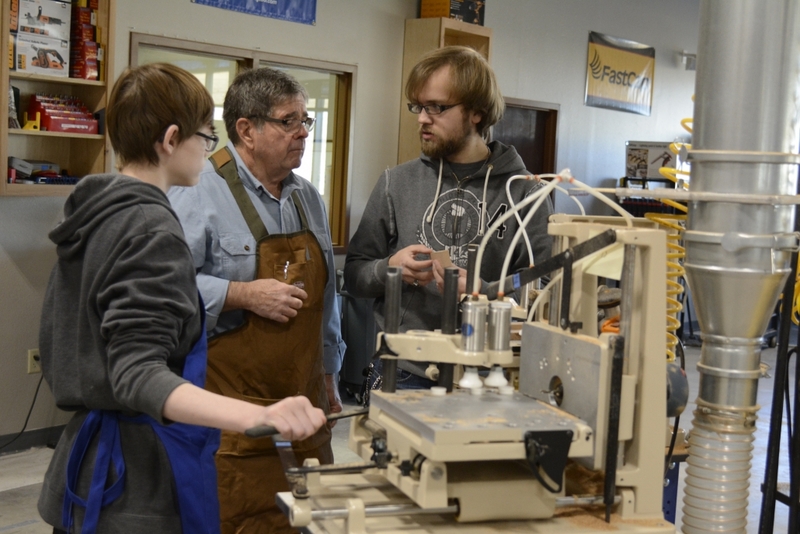 What makes the MiLL’s existence ever-more impressive is that Peyton School District, which only has a total enrollment of about 600 K-12 students, did not have a woodworking program before the start of the 2015-16 school year. That all changed in the summer of 2015 when Kistler and the Peyton School Board recruited Mattson to develop the Peyton Woods Manufacturing Program. Mattson had the Peyton Wood program up and running in about 90 days by seizing on relationships he forged with industry suppliers at North Salem High School plus new ones he gained after winning the WMIA Educator award. His attention soon turned to developing the MiLL. 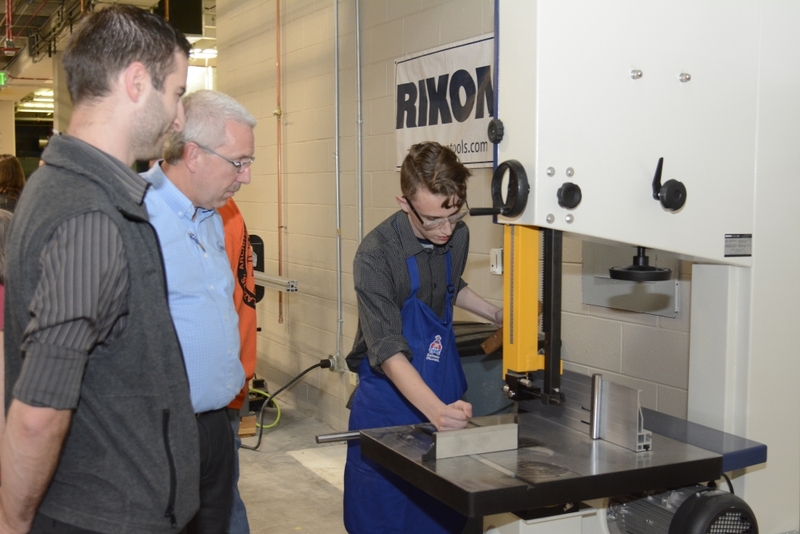 This fall, more than 115 high school students will take woodworking courses at the MiLL, including the first crop of Peyton seniors who have earned their WCA Sawblade certificates at the Peyton Woods Program. In addition to drawing student participation from Widefield and other area school districts, the MiLL will begin offering evening classes to students of Red Rocks Community College’s Fine Woodworking Program. The MiLL is also working with Wounded Warriors to offer training to ex-military personnel. “We believe that we can have 250 to 300 high school students coming through our program each year,” Kistler says. “I think we can ultimately achieve a similar number in our evening classes. I see the program only getting stronger,” Kistler says. Part of the reason for Kistler’s optimism is that Peyton is introducing kids to woodworking earlier than ever. The success of an “exploratory” woodworking program for eight graders has led the district to open up the program to seventh graders this coming school year. Several of the students have already had an opportunity to earn and learn through an internship program supported by Concepts in Millwork, an architectural woodwork business in Colorado Springs. The MiLL will host its second MiLL Academy, August 22-24. The first two days of the three-day program provide classroom and hands-on instruction to educators so that they can bring their woodshop course curriculum and techniques up to date. The third day of the academy includes the option for teachers to be trained as WCA accredited skill evaluators. The class will be instructed by Mattson, a WCA accredited chief evaluator. Mattson’s contract with Peyton School District expired at the end of 2017. Untethered from day-to-day teaching responsibilities, he is focused on serving as a consultant to help launch other MiLL-type facilities. Since the MiLL opened its doors, Mattson says he has had serious discussion with six other entities, including one outside the U.S., about starting a MiLL. “Some of my discussions have included owners of woodworking companies who are thinking about selling their businesses to start a MiLL. Learn more about The MiLL.